My whole life, I have turned to fantasy books to help me make sense of the world. For some reason, it seems easier to learn truths in fantasy lands before applying them in my "real" life. In a world that seems like it is becoming increasingly polarized and divisive, I keep thinking of books that can help us have conversations about race, politics, immigration, and other hot-button issues we may tend to avoid. Here are my top three picks, along with themes to look for in each book. 3. The Hunger Games and Catching Fire: Okay, so this is two books, but they go together. Comparing Katniss Everdeen's relationship with Rue, who is Black, to Katniss' relationship with her own sister, Prim, highlights the fact we are all people, and what we have in common should be more important than outward differences. This is so important to remember, but we also have to acknowledge that race, immigration status and societal differences impact our life experiences. As a teacher, I have some students (usually White) who tell me that race doesn't make a difference, because anyone can be successful in America, but I also have some Black students who tell me they have to be careful not to leave their licenses at home when they are driving, because they get pulled over every time they drive their parents' hard-earned, but fancy cars. Catching Fire can help us see racial and economic inequalities by showing us District Eleven, a primarily Black district, where Rue and Thresh come from, and District Twelve, the very poor district where Katniss and Peeta live, as compared to the Capitol and Districts One and Two, where food is always plentiful, to the point of lavish, wasteful parties. Comparing real cities in America to the various districts can help us see both racial and economic injustice and start to question the reasons they exist. 2. 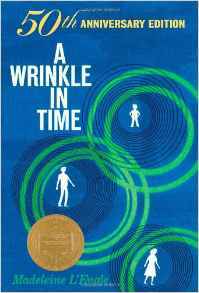 A Wrinkle in Time: This may seem like an odd choice, but there are two themes that stand out in my favorite Madeleine L'Engle book. The first is that there is a shadow over our world that predisposes it to evil. As an author with a Christian world-view, L'Engle is showing us this shadow is caused in part by sinful human nature, but it also stems from the Etch-throi, who are portrayed as the cosmic forces of evil in the world. As Christians, we believe there are, indeed, cosmic forces of evil, who seek to divide families and destroy societies, and they are our true enemies. As pointed out in a recent Sunday sermon at my church, the person across from you is never the enemy, regardless of their differences. That person is a child of God, whom He loves. Instead, Paul reminds us, in the biblical letter of Ephesians, "Our struggle is not against flesh and blood, but against the rulers, against the powers, against the world forces of this darkness, against the spiritual forces of wickedness in the heavenly places" (Eph. 6:12). The second theme we can find in A Wrinkle in Time is that we all come from different places and personal attributes, societal expectations and actions stem from a combination of where we grew up and our experiences so far. There is a scene where Meg is trying to explain color to Aunt Beast, but because Aunt Beast doesn't have eyes and no one in her society "sees," she doesn't understand. Later, Aunt Beast defends Meg after Meg's angry outburst to her father and Calvin, saying, "The child is distraught. Don't judge her harshly. She was almost taken by the Black Thing. Sometimes we can't know what spiritual damage it leaves even when physical recovery is complete" (L'Engle 189). When we talk to others, we need to remember they may have scars we can't see, and we need to acknowledge we may be operating out of scars we aren't aware we have. 1. 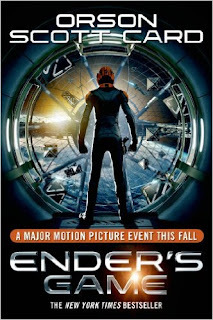 Ender's Game: Written by Orson Scott Card, Ender's Game, is one of my favorite science fiction books, although the language and violence are harsher than I usually recommend here. (Note: In this post, I am referring specifically to the book. I liked the movie version, but it is substantially different than the book.) In Ender's Game, Andrew "Ender" Wiggins is co-opted by a system he doesn't know much about and doesn't understand, to prepare for an imaginary, though perhaps immanent, war. As Ender progresses through training, he also grows and matures, and eventually starts to question the system he is a part of. He also starts to question the nature of the enemy. What he learns causes him unexpected understanding and even empathy. In the second book, Speaker for the Dead, Ender processes his role in society and whether he can take action to change. Without saying too much (I'm trying to avoid plot-spoilers), there are several reasons Ender's Game can help us talk about differences. First, it helps us question what aspects of our own society we accept without thinking. Second, it helps us question the nature of other societies, including those we have traditionally been taught to fight against or fear. Third, Ender's Game helps us consider our own, personal responsibility to society and examine the role our choices play in shaping our world. Sometimes it seems easier to avoid talking about hard, controversial, or divisive issues. However, if we don't have conversations about them, we allow the loudest voices to shape our society. I hope this list of books gives you a starting place to begin some important conversations with the people around you, and the courage to impact society for the better. Leave a comment and let me know if there are other books you think would be helpful. Interesting post, Erin. I have not read any of these books, but I have seen the movies for A Wrinkle in Time and Ender's Game, and I have enough friends who like the Hubger Games to know the general storyline. You're right that each of these books had something to say about important issues. I think it is interesting to note that all of these books you mentioned and the X-Men series are science fiction, instead of fantasy. Sci-Fi seems to be much more focused on issues, what could happen as a result of certain ideas and political actions, etc. Good point. . .these are more science fiction, aren't they? I have to say, the movie for A Wrinkle in Time is absolutely awful, so if you can try to forget you saw it and read the book instead, I highly recommend it. : ) Thanks, Hannah! I didn't know there was a movie for A Wrinkle in Time. I love the book. This topic on diversity is a great one, Erin! Great idea for a post, Erin! 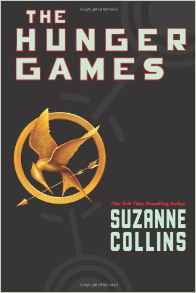 As you mentioned with Hunger Games, I think a lot of dystopian literature does a great job addressing the pitfalls of conforming and accepting governmental or societal structures without question. The Harry Potter series had important messages about the divisions people create by judging and categorizing others based on a certain characteristic. I love it when great literature weaves in these types of themes without feeling obvious or preachy.